Bitcoin climbed again Friday, reaching its highest since late March. 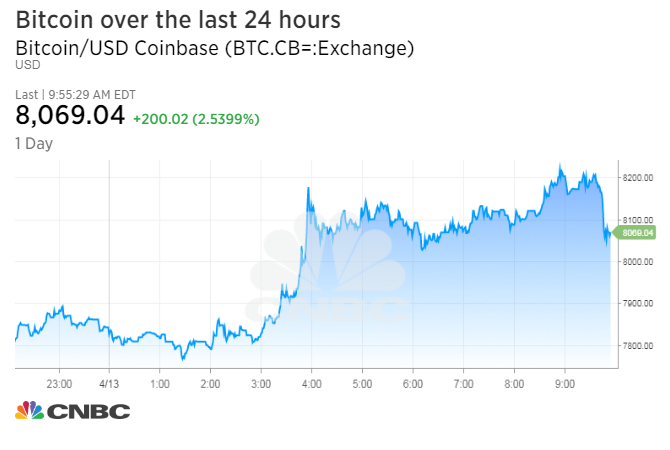 The cryptocurrency briefly rose more than 6.5 percent over the last 24 hours to a high of $8,204, its highest in more than two weeks, according to Coinbase. Bitcoin traded near $8,085 as of 4:07 p.m. ET Friday, up 18.2 percent for the week. 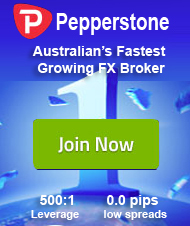 The gains followed a sudden spike Thursday from a low of $6,786 to above $8,000. The move forced traders who had bet against bitcoin to buy back into the market, or cover their shorts. Other cryptocurrencies also jumped Friday. Ethereum traded about 4 percent higher, near $512, while ripple rose roughly 7 percent to 67 cents, according to CoinMarketCap.